After the success of last year's trip we are re-visiting The Farne Islands for a weekend of diving, seals, diving, good times and good company. Where is it? 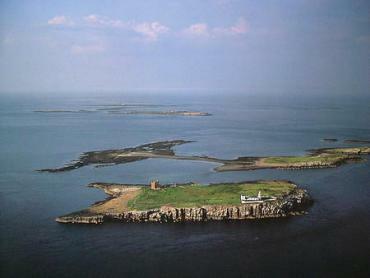 The Farne Islands, off the coast of Northumberland, just below the Scottish border. The Farne Islands are home to the grey seal (also known as the Atlantic Grey Seal), with between 3000 and 4000 of this rare species on and around the islands. The colonies here are one of the most important in Europe, and this species of seal is the largest surviving carnivore in the British Isles. They can be spotted all year round, with the 1000 or so pups being born each year in late October and November. Transport (including kit) to and from Beadnell Bay on Friday evening and Sunday afternoon. 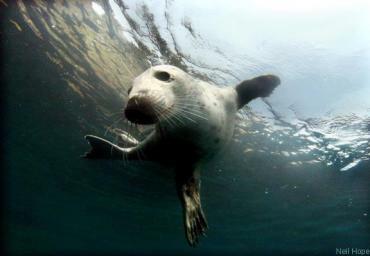 2 days diving (Saturday and Sunday) with 4 dives on the Farne Islands by boat. Equipment hire. We can arrange equipment rental - please contact us for individual item hire. Nitrox is also available at an additional cost, subject to training and advance notice. Just give us a call with your card details to secure your place with a £50 deposit - full payment will need to be received four weeks before departure. LIMITED SPACES GOING FAST, FIRST COME FIRST SERVE BASIS!